Game Of Thrones will see its final season premiere on April 15 and with all the hype surrounding the series, in comes Viserion. ⚠ Spoiler alert! For non GOT fans, Viserion is one of the dragons that was given to Daenearys Targaryen (Emilia Clarke) during her wedding. It was killed and resurrected by the Night King in Season 8, leaving the colour of its eyes blue with a hint of green. 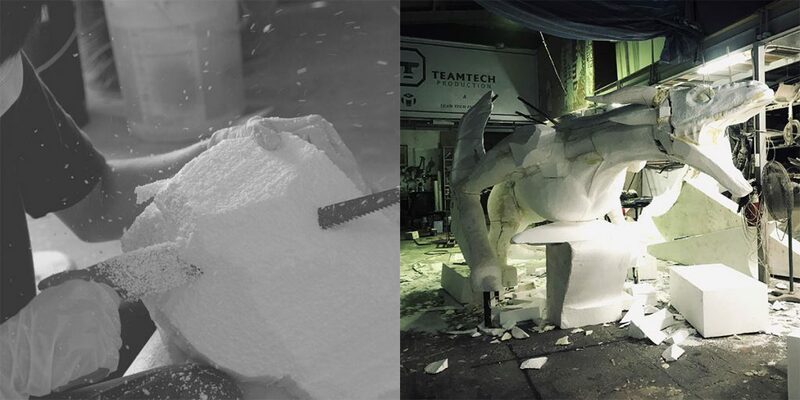 In conjunction with the premiere, Malaysian team, Team Tech Production, has been contracted to create a Viserion structure from scratch. The 12-man team created Viserion within 2 months! 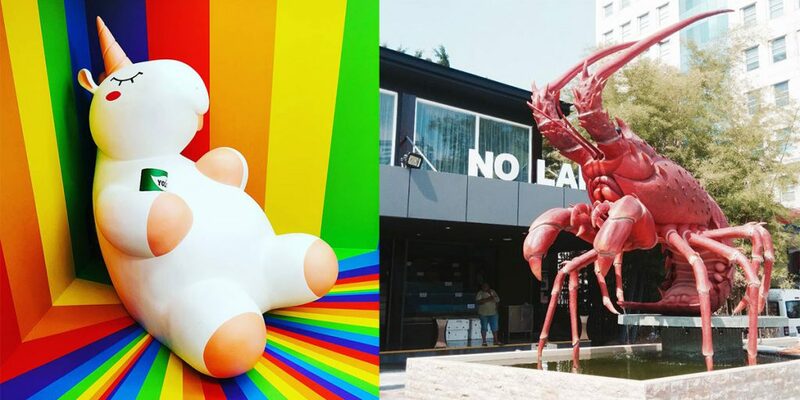 Fun fact: The 18-feet structure is brought to you by the same team behind the adorable sculptures at Selfie Museum KL. Established since 1997, this fabricator company has been materialising the dreams of their clients, literally. Their past creations include a Bumble Bee and Minions sculpture. They’re also the ones responsible for the lobster statue at One Seafood Restaurant! Specialising in sculpting and fabricating, this team conceptualises the ideas and designs handed to them by clients. From planning the structural support to adhering to rules and regulations, a final product is created. Unfortunately, photos of this stage are not available as the team was so focused on creating the model. Fun Fact: The body proportions of this Viserion model was as close as they could get to the real model without violating JPJ laws. Kian Wei shared that they had to create something that was less than 12 feet high and 8 feet wide, including the truck it would be transported on. 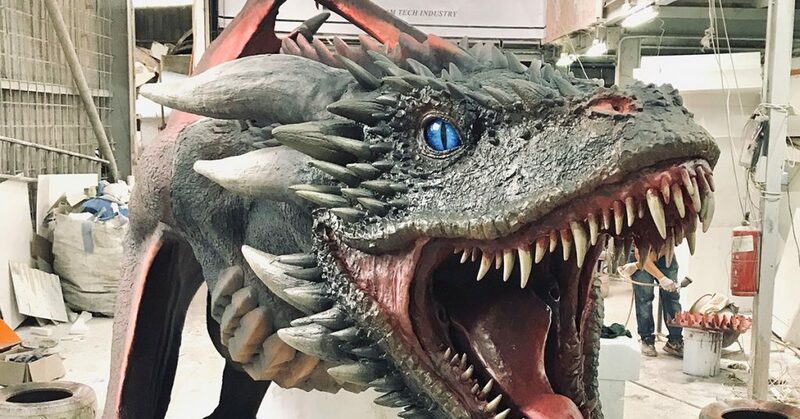 Apparently, the team had to re-watch scenes with Viserion over and over again! Because this dragon is close to heart for most GOT fans, they wanted to get it as close to reality as possible. After a layer of epoxy is applied and sanded, fibre putty and fibreglass is used to create the details. All the thorns, spikes and teeth are handmade and painstakingly glued on. 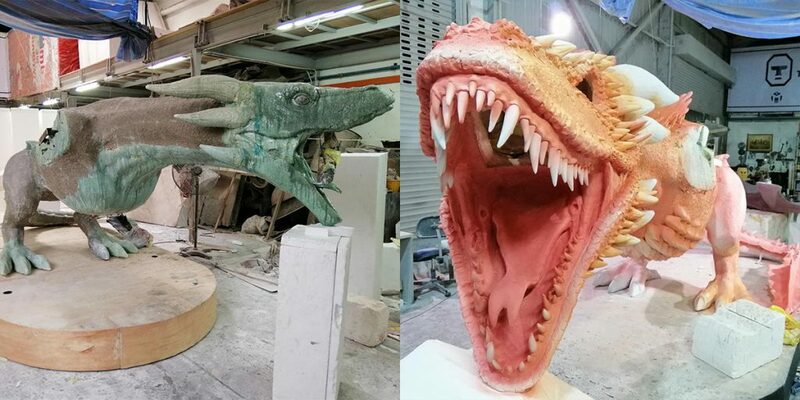 Over the course of one and a half weeks, six layers of base colour and additional details were painted onto the dragon. As it would be placed outdoors, two extra layers of clear matte lacquer were added for weather proofing. More elaborate details were also added like backlight to the eyes to make it glow especially at night. Plus, a pipe was also installed in the nostrils for a smokey surprise! 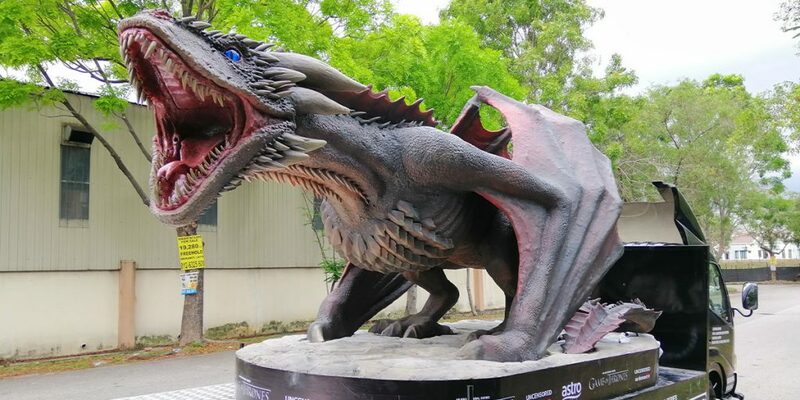 While the team would have loved to create a life-sized version of the dragon, it would take them a year to complete a 60-metre model. Nonetheless, this seems like quite a feat to complete in under two months! 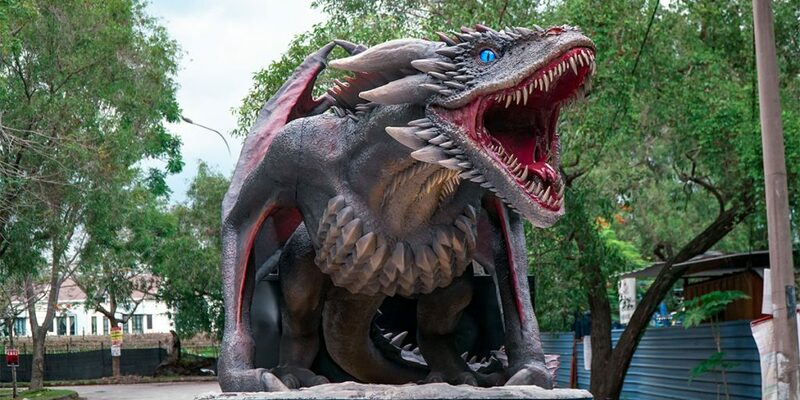 Viserion is currently on display at various locations in the Klang Valley till April 15th. It will then be displayed at Pavilion KL’s Fountain Area (April 15th-28th) and 1 Utama’s New Wing (May 3rd-19th). Check out their Facebook page for the latest updates on Viserion’s locations!